It is an ideal way for you to create memorable graduation slideshow with songs to preserve your life at campus. An excellent and memorial graduation slide show will remind you of the precious moments at school. A professional-looking graduation slide show should contain photos, music, texts, sayings, theme or more. So you need to collect these items first. 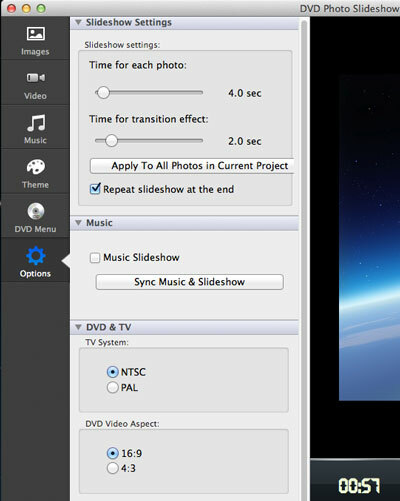 Then, with a slide show maker, you will be able to turn them into a dynamic slideshow movie easily. A good slideshow creator should provide its users with a great number of theme styles for festivals and memorial days, like graduation, wedding, birthday, Christmas, and so on. With such a slideshow maker, you can create festive and memorable slideshow with ease. DVD Photo Slideshow lets you create graduation slideshow within minutes. It allows you to add background songs, apply transitions, set Pan & Zoom, choose theme and menu style, specify photo duration and transition duration, add text, insert bubble texts, and more. You can easily output your graduation slideshow as a video file or burn your graduation slideshow onto a DVD disc. 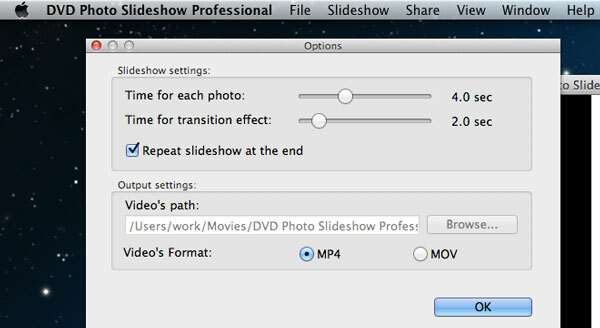 Now let me walk you through the steps to create graduation slideshows with DVD Photo Slideshow. In the Images tab, you will be able to browse all the photos in your Mac. You can drag and drop graduation photos from iPhoto library or other folders in your Mac to the timeline. Switch to the Music tab, and you will be able to add background music from GarageBand or iTunes library to the timeline. You can add previously downloaded graudation songs from other folders in your Mac as well. If you are going to burn graduation slideshow to DVD, you can set a DVD menu first. Go to the DVD Menu tab, and you can set DVD title and subtitle, pick a DVD menu theme, and select menu background music for your graduation slideshow. Press the Preview button, and you can check out the real effect of the slideshow. 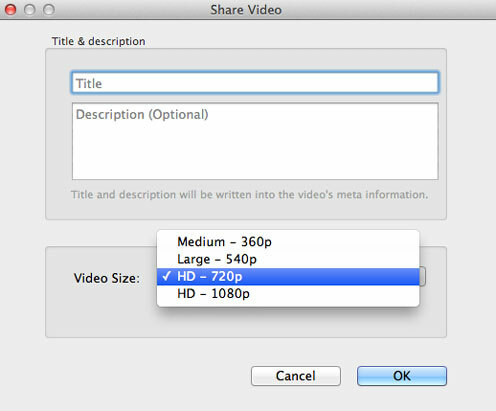 Then click menu Share and choose Burn DVD. 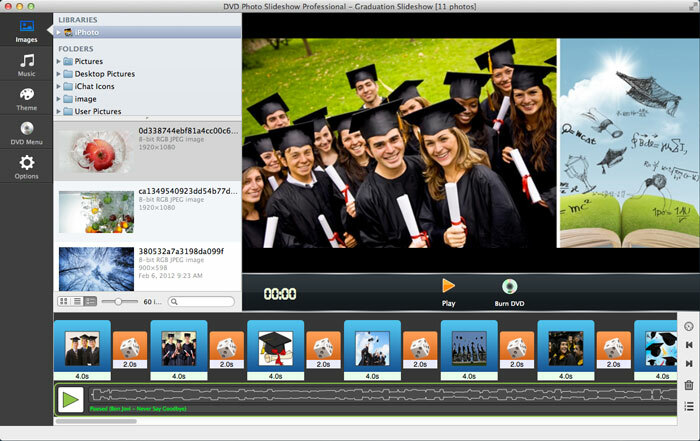 A graduation slideshow DVD disc will be created within minutes.